A few weeks before, We have shown you how to install and configure a basic FTP server on CentOS 7. Today, In this brief tutorial let use how to configure the Vsftpd with SSL/TLS. I assume you already installed and configured the Vsftpd server. If you didn’t, please follow the below link to install and configure a basic Vsftpd server. After installing vsftpd on CentOS 7 server, let us create a directory to store SSL certificates. In the common name field, you can either use hostname or IP address of your vsftpd server. Save and close the file. Restart vsftpd service. 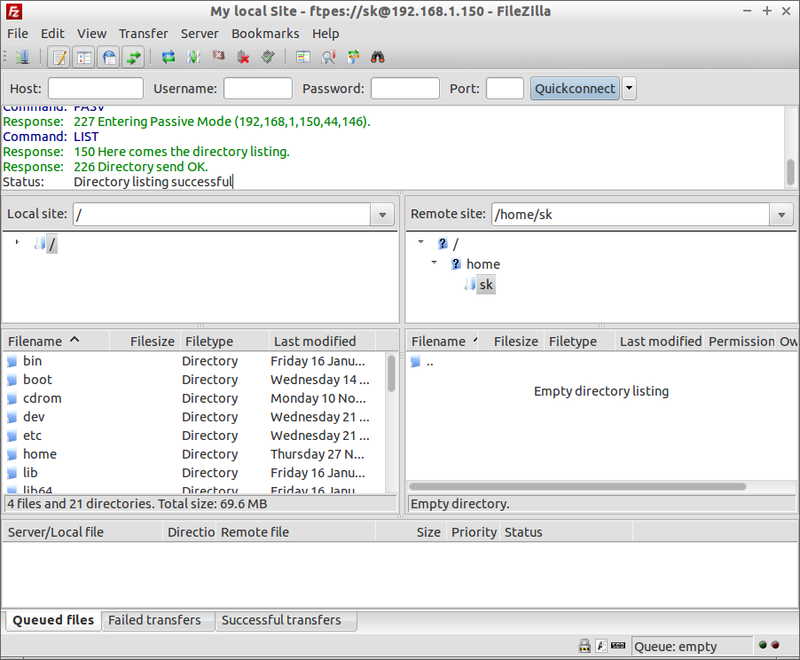 Open Filezilla from your client system. Go to File -> Site Manager. In the Site Manager window, select New Site. Name your new site, or leave it as it is. In my case I name it as My local FTP. 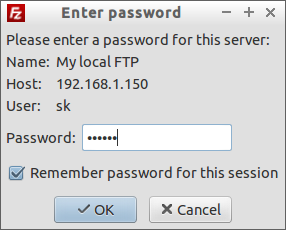 Enter the FTP server IP address, and select “Require explicit FTP over TLS” from the Encryption drop down box. In the Logon Type drop downbox, select Ask for password option, and enter your FTP user name. Finally click on the Connect button. You’ll be asked to enter the ftp user password in the next screen. 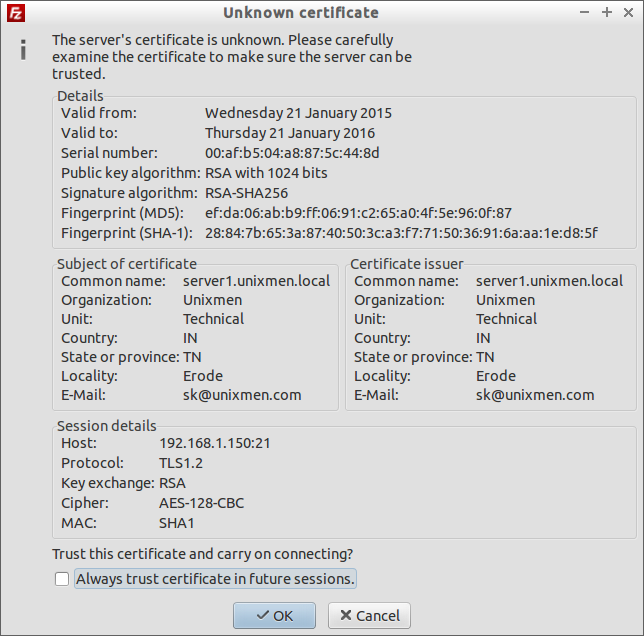 Now, you”ll be asked to accept the certificate that is being used to make sure the server can be trusted. In the Certificate window, you may see the list of values which is entered during the certificate generation process. Click Ok to accept the certificate and establish the connection. That’s it. Now you’ll be able to access your FTP server. Note: if you keep getting the error “The data connection could not be established: EHOSTUNREACH – No route to host” after enabling SSL/TLS, disable iptables and try again.